The 2nd China Virtual Reality Innovation and Entrepreneurship Competition will be held in Yantai, Shandong Province from March 27 to March 29. The top 64 players from Nanchang, Wuxi, Beijing and Shenzhen will compete for the first, second and third prizes. Since its launch on August 20, 2018, the competition has attracted 455 enterprises and teams to register, of which 217 enterprises have entered the regional competition to compete for the promotion places in the finals. In view of the industrial pain points such as insufficient supply of key technologies and high-end products, insufficient content and services, imperfect innovation support system and imperfect application ecology, VR start-ups/teams actively seek ways to break through the situation and emerge a number of technical product schemes with ideas, technology and profitability. From the bottom technology point of view, the research fields of participating enterprises cover optical waveguide, modeling imaging, tracking orientation, tactile/mechanical feedback, intelligent algorithm, halo control and many other nodes. Some of the participating enterprises hold dozens or even hundreds of patents, and are in the leading position in the global competition in the subdivision field. Focusing on the cross-border integration of VR and emerging technologies such as artificial intelligence, 5G, Internet of Things, cloud computing, etc., the participating enterprises have formed landing products such as police AR glasses, VR edge cloud live broadcasting, etc. They have also achieved preemptive layout in frontier areas such as brain wave interaction, visual aids, and promoted the transformation of VR/AR from partial immersion to deep immersion. From the point of view of software and hardware innovation, the participating enterprises demonstrated the innovative achievements of hardware products such as VR/AR glasses, 3D terminals, panoramic cameras, tracking interactive devices, etc. Aiming at the problem that it is difficult to achieve process balance between large perspective and miniaturization, they optimized the optical module, reference design and extended interface, made the product logic clearer and accelerated the process of commercialization; VR courseware compilation also emerged in the software field. Editor, AR online production platform, Avatar interactive system and other software works, many enterprises hold software copyright patents. From the perspective of applied ecology, the participating projects involve virtual reality schemes in the fields of medical services, industrial manufacturing, petrochemical industry, real estate construction, education and training, cultural tourism, advertising and retail, police security, urban management, game application, film and television media, and some enterprises have achieved revenue of tens of millions of yuan. 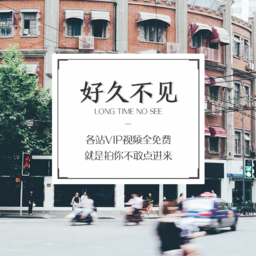 At the same time, the participating enterprises deeply excavated the VR application scenarios, and launched the AR navigation of offline shopping malls and VR self-service equipment in scenic spots to promote the popularization of VR. On the basis of the first competition, the 2nd China Virtual Reality Innovation and Entrepreneurship Competition built a platform for entrepreneurs to connect with large enterprises. Participants will contact large enterprises through project docking salons and other activities, explore cooperation opportunities, and even directly form orders. Shougang Hospital of Peking University and Beijing Yihualu Information Technology Co., Ltd. released project requirements in Beijing Competition Area. Shougang Hospital of Peking University intends to improve the medical virtual teaching system and percutaneous renal puncture guidance system by combining virtual reality technology and improving the key parameters such as the fidelity of surgical simulation and the clarity of product images. Beijing Yihualu has released two requirements: Enterprise Forum and knowledge sharing platform, and video scene fusion display and application based on three-dimensional GIS, aiming at utilizing virtual reality. Guan Technologies perfected the construction of intra-enterprise forums and the integration of video and GIS, and finally signed a contract with two participating enterprises. Li Jingkun, strategic director of Alibaba Innovation Center, pointed out at the project docking salon in Wuxi Sai District that Alibaba will carry out technology, talent, flow and ecological empowerment for start-ups, and cooperate with all walks of life, including virtual reality. For example, Alibaba can set up VR/AR track star training camp, promote the financing and growth of start-ups, open ports for excellent VR/AR enterprises, and even build industrial bases for VR/AR enterprises to promote the development of virtual reality platforms. Wang Xihai, business director of Huawei Developer Alliance, said that Huawei has opened up chip, AR engine and other capabilities for AR developers, and will open up more resources, provide flow tilt for excellent applications, and encourage start-ups/teams to start VR/AR. Up to now, the excellent enterprises and teams directly or indirectly benefited from the first China Virtual Reality Innovation and Entrepreneurship Competition have received nearly 120 million yuan of investment. The excellent enterprises and teams emerging in this competition will also have the opportunity to be recommended to the sub-funds set up by the National Fund for the Development of Small and Medium-sized Enterprises, the sub-funds set up by the National Fund for the Transfer of Scientific and Technological Achievements, the sub-funds set up by the Venture Capital Guidance Fund for Small and Medium-sized Technological Enterprises, and the national investment funds such as the Competition partners will provide financing guarantee and financial leasing services for winning enterprises. Prize-winning enterprises and teams will also give priority to the local VR industrial base, enjoy the supporting preferential policies given by local industry departments and entrepreneurship service institutions. It is understood that this competition is co-sponsored by China Innovation and Entrepreneurship Competition Organizing Committee Office, Virtual Reality Industry Alliance and National Science Innovation and Venture Capital Co., Ltd. Adhering to the principle of "government guidance, public welfare support and market mechanism", the competition aims to build a virtual reality industry sharing platform, establish and improve the standard system of virtual reality, rally social forces to support small and medium-sized enterprises and team innovation and entrepreneurship in the field of virtual reality, and support the healthy and orderly development of China's virtual reality industry.